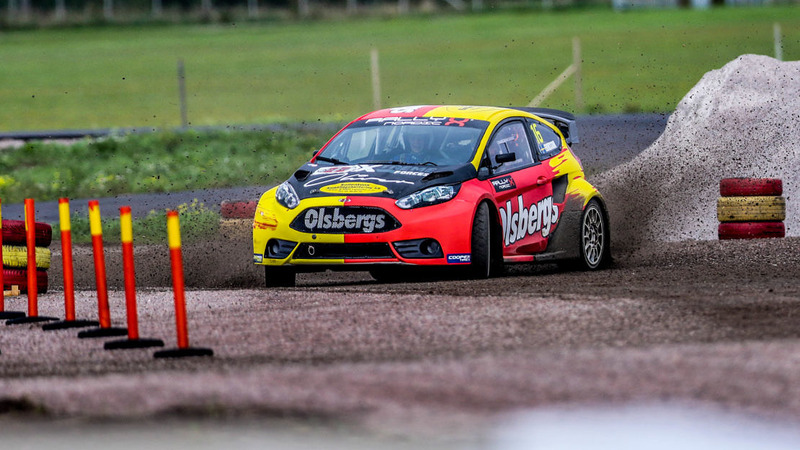 Championship rivals Oliver Eriksson and Oliver Solberg headed up a timesheet apiece following free practice for the title-deciding final round of the 2018 RallyX Nordic presented by Cooper Tires at the all-new Tierp Arena. Olsbergs MSE’s Eriksson led FP1 with a rapid 43.106secs lap time to place him a clear seven tenths up on his two rivals for this year’s title, Thomas Bryntesson and Solberg. However, the Swede could only manage ninth best in a slower FP2 session, with Solberg going quickest with a 43.732secs lap in the Citroen DS3, almost half a second faster than the opposition. Putting in his first laps at the wheel of the Olsbergs MSE Honda Civic, Ulrik Linnemann was an impressive second quickest in FP2 ahead of Lukas Walfridson, who bounced back from earlier issues to set a strong pace ahead of Q1. Driving the Audi A1 for the first time in more than a year, Robin Larsson was an eye-catching fourth quickest in both sessions, while Andreas Carlsson was sixth best on each occasion too. In Supercar Lites, Reinis Nitiss set the fastest time in his first-ever RallyX Nordic session in FP1, but had to give best to Ben-Philip Gundersen in FP2 as the title contender swept in with the fastest time. Attention now turns to the first qualifying race of the weekend, with Q1 for Supercars beginning at 15.30.